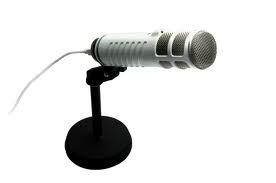 In this article I’m going to give you my exact podcasting equipment recommendations for you. Everything I mention here I have used myself and recommend based purely on quality and usability. But before I get into the nuts and bolts about what to use, I need to explain something. Right now, you’re at the fork in the road of podcasting. You have two routes in terms of equipment and I’ll explain each of these to you quickly before we go any further. This is where a mixer is used as the go between the microphones and the recording device (in some cases, a computer). This is because the microphones that are generally used with mixers are XLR microphones. Because of their connection point these microphones do not plug directly into your computer and require the mixer to work. They want to add other audio inputs. For example, if they wanted to play some sounds of their iPad then they could jack it up to an input channel on the mixer and play the audio through the mixer. 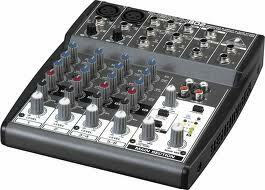 Now don’t get me wrong, I LOVE this method of podcasting and as I type this I’m looking at my Mackie DFX 6 mixer. But, for someone starting podcasting then a mixer method can be a little over the top and technical. My advice on podcasting equipment is to keep it really simple. All you need is a decent quality podcast microphone to get going. So don’t fall into the trap of buying thousands of dollars worth of equipment. Avoid all the technical confusion and just get yourself a usb microphone. Ok so what is a usb microphone you’re asking? A usb microphone plugs directly into the usb port of your computer (where your mouse or printer goes). It’s designed to be very easy to use and is often called a “plug and play” microphone for this very reason. 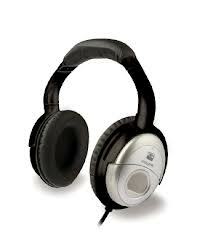 Bottom line, you need headphones to help you get your recording sounding good the first time round. Now you can use your iPhone headphones if you want, but I recommend getting yourself a good pair of closed ear headphones. Closed ear headphones cover your ear instead of the ear buds that sit inside your ear cavity (I find those very uncomfortable after about 20 minutes or so). A decent pair of closed ear headphones start at around $30 and here’s some makes and models I use and recommend. Getting the right software for your podcast can mean the difference between hours of pulling out your hair trying to learn a complicated editing system, or a few simple button clicks and a finished recording. Not sure about you but I prefer the latter which is why I recommend some software called Audacity. This is super cool software because unless you are in the know, you’ve probably never heard of it. And it’s a key piece of podcasting equipment. Oh and did I mention it also runs on PC and MAC! Although it looks a little old and clunky there have been millions of podcasters who’ve cut their teeth using this brilliant bit of software. And the great thing about Audacity is it’s not just a recorder, but it’s also an editor. This means that it can take the audio that it has recorded and then manipulate it using the cut, copy, paste and delete tools. 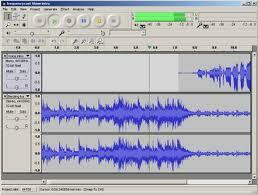 In fact I often tell folks that using Audacity to edit is much like using Microsoft Word to edit. In both programs you can highlight a phrase and then cut, copy or paste. So if you can use Word then I’m confident you’ll be ok with Audacity. However if Audacity is not for you then if you are a MAC user then you may want to consider using Garage band (a free bit of software that’s normally free on your MAC). Garageband is also pretty easy to use and can be a good option if Audacity isn’t for you! Both are excellent bits of software for podcasting. 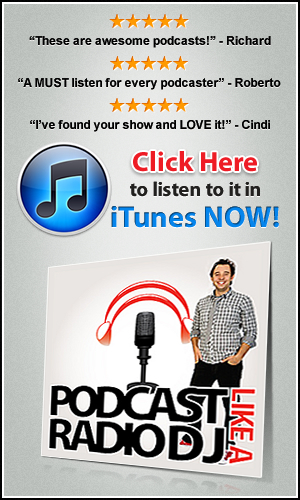 Need More Help With Podcasting Equipment? I can help. I offer one on one consulting sessions with clients. If you’d like to find out more about this service then please click here.